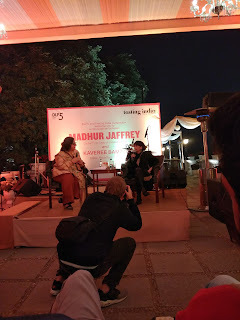 DLF 5 and Tasting India Symposium recently organized an evening session with a featured talk with the great Madhur Jaffrey (the global first lady of Indian cuisine) and Kaveree Bamzai, the reputed editor of Robb India. It was 8. 15 by the time I reached the famed DLF Country and Golf Club, the venue of the talk. The courteous staff at the place welcomed me into a meet and greet party. The guests were all assembling, sampling some fine wine and Indian starters. 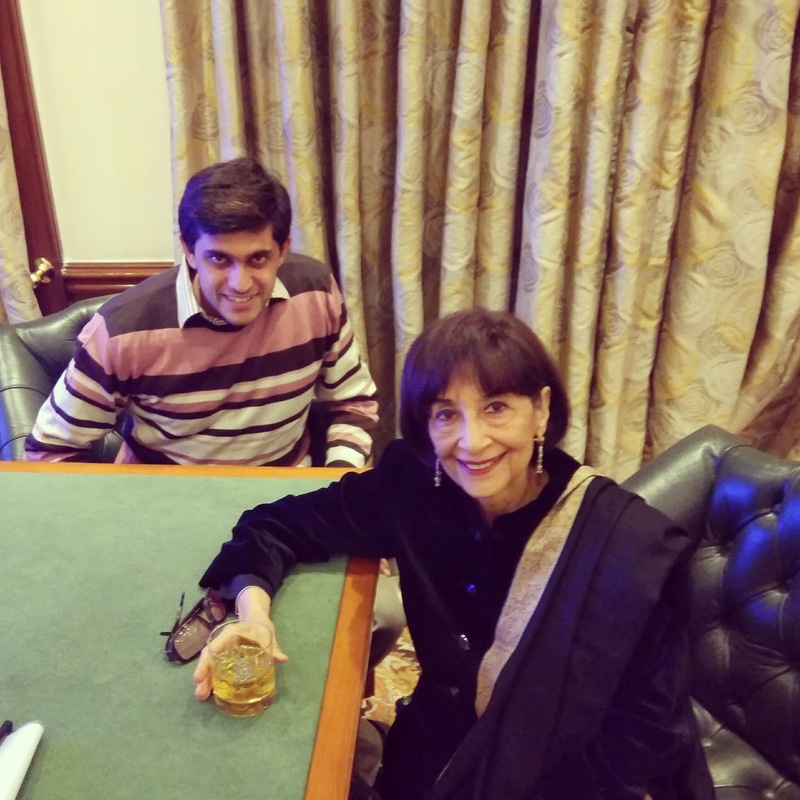 I met people I knew, circulated around and saw Kaveree and Madhur sitting in a corner, talking. A friend and I debated to intrude or not, but eventually, we just went ahead to introduce ourselves. And like good fans requested a photograph for memory which was so graciously permitted, that it left us truly humbled. The program started with an introduction by Sanjoo Malhotra, Co-Founder Tasting India who passionately spoke about the Farm to Table concept which was being worked about by Tasting India and the efforts they were putting into it. They have an impressive advisory board which is working with the government on this concept. This was followed by Madhur Jaffrey in conversation with Kaveree Bamzai. She spoke about in detail of her journey and her work. Her opinions on food and philosophy of life are so well regarded and it was a learnable delight. We had a Q & A round after Kaveree concluded her questions, wherein guests asked intriguing questions. DLF Country Club had arranged for a detailed Drinks & Dinner program, with authentic Indian food including a special chicken curated from Madhur's own recipe. Indeed a splendid evening at an ideal location and a great mileu of people.